The search for the missing swimmer at Titahi Bay resumed at 0800 on Sunday morning. 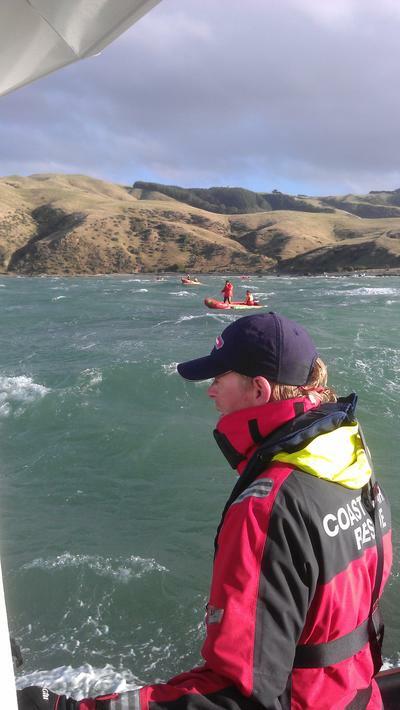 A large search was performed by Coastguard Mana's vessels Trust Porirua Rescue and CRV Pelorus. Shoreline searches were performed around the whole of Mana Island and all the way down the West coast as far as Makara Beach, while Titahi Bay Surf Lifesaving Club covered the shoreline and immediate area around Titahi Bay. Sea conditions were very rough with 1-2m waves and up to 30 knots of NW wind (slightly less than the previous day).